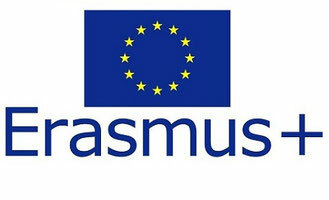 The meeting in Belfast from September 25th to 28th, 2018 was a fantastic kick-off of the Erasmus+ Project “Communication”. The set-up of the project was extremely efficient so that after the first meeting every person involved in the project knowswhat to do. The brief discussion of certain issues was due to the face-to-face situation at the meeting. Thornfield House School was presented in a Power Point presentation, and during our visit to the school we got an excellent insight into school life which would not have been possible without our visit. Your school deals with speech and language difficulties with children at the age of four to sixteen. This explains why your school is an expert in communication and why it was chosen as the setting for the coordination of this project. Your knowhow became obvious in your presentations about Social Skills presented by one of your teachers and about E-Safety presented by a police officer. On the one hand, these well-chosen issues made us aware of the dangers in social media and the need of social skills, on the other hand, we were shown various levels of communication. The city of Belfast explains the historical and political background of a person much better than any other city in the world. You only become aware of this fact by talking to the people in the city. Another aspect of communication was presented to us during a fantastic trip along the coast to the World Heritage Site. It made us feel the influence of the landscape on the traditional as well as the new fairy tales, sagas and films such as the series “Games of Thrones” whenwe visited the setting of the film. We were especially impressed by Giants Causeway, a sight that tells another saga or fairy tale of the past. Both the issue of communication in the project and the visit to your country refer to the importance of conversation between people from different countries. Being able to converse with each other requires a range of social and language skills which would never be gained by any form of electronic communication. Thank you for your awesome hospitality.